Golf Son Quint Pitch & Putt is a 9 hole course with all PAR 3 holes, the best way to learn golf. It is the only official Pitch & Putt on the island, which means that holes were designed according to the standards that should have this kind of golf courses. It is a golf course that provides fun both to golfers who want to improve the short game as to beginners. In addition, we recommend you to participate in our Pitch + Putt Challenge, which includes 12 tournaments, one per month. A good chance to prove your skills. The design of holes 4, 6 and 7 will mean a real challenge for the short game of any golf player. Beginners will enjoy the variety of holes and the game without the pressure when playing on a 18-hole course. Guaranteed fun for everyone! Anyone can play at this golf course, you don´t need golf license or handicap. 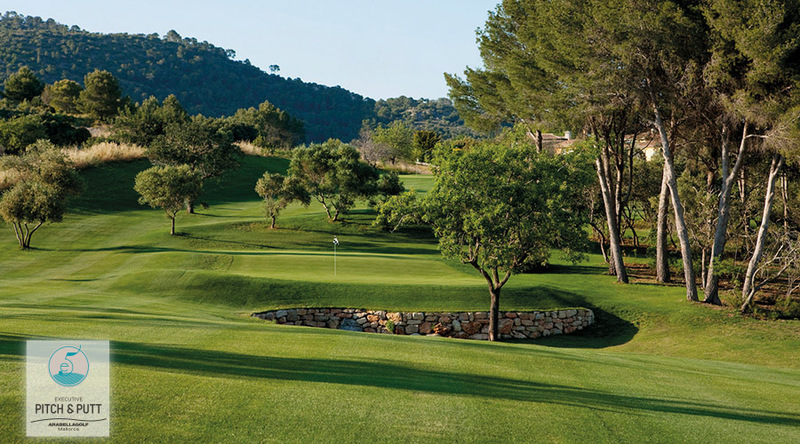 In addition, you can enjoy a round of 9-hole for only 10€, Monday through Friday, and 12€, weekend. Only 5 minutes away from Palma and dress code is not required.